Ranch Ghost only has two 7″ and a live album available on their website, but their recent Daytrotter session hints a full-length may be in the works. 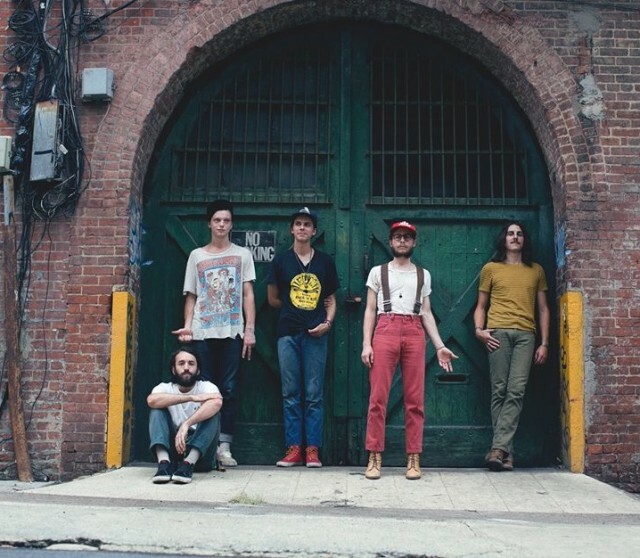 The band’s swamp rock rooted in psychedelic, surf, blues and 60’s rock and roll puts them on par with Black Lips. Their music is both abrasive and catchy, and the energy from their recordings makes for a promising night. Their talent is undeniable and sound consistent. Their the closest we can get to a love child between Gordon Gano and The Animals. I saw Bows and Arrows open for Weekend not too long ago, and they sucked me in with a sound somewhere between indie pop and shoe-gaze. Their set is a refreshing melodic take on the wave of lo-fi acts popping up right now. Listen to “Let’s Take On The Night” from 2010 and think how much they’ve only gotten better over the years. Ghost Dance will kick off the night with experimental garage/psychedelic/rock and roll. The band brings heavy, fuzzy riffs supported by a garage-rooted backbone, and enough energy to make you want you want to dance (it is in their name after all). Hear more on their bandcamp. Ranch Ghost, Bows and Arrows and Ghost Dance will perform October 18th at The Basement. The show is 21+ and begins at 9, and tickets are available for $5. Kevin Costner and The Modern West, Exit/In, Tonight in Nashville… C’mon, Cream!